The winter is a long one in Banff, so it’s lucky there are so many things to do to keep you busy and active in the outdoors this time of year! Once the snow starts to melt and the rain starts to fall, it opens the floodgates for a whole stream of other activities you can enjoy in the mountains. The rivers and lakes defrost, opening up more fun and games for visitors and residents alike! 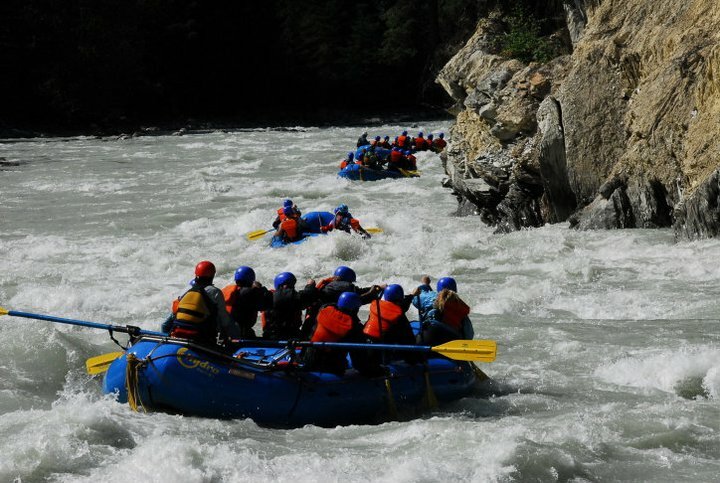 Banff is flanked on either side by two great rivers for rafting, the Kananaskis and the Kicking Horse. 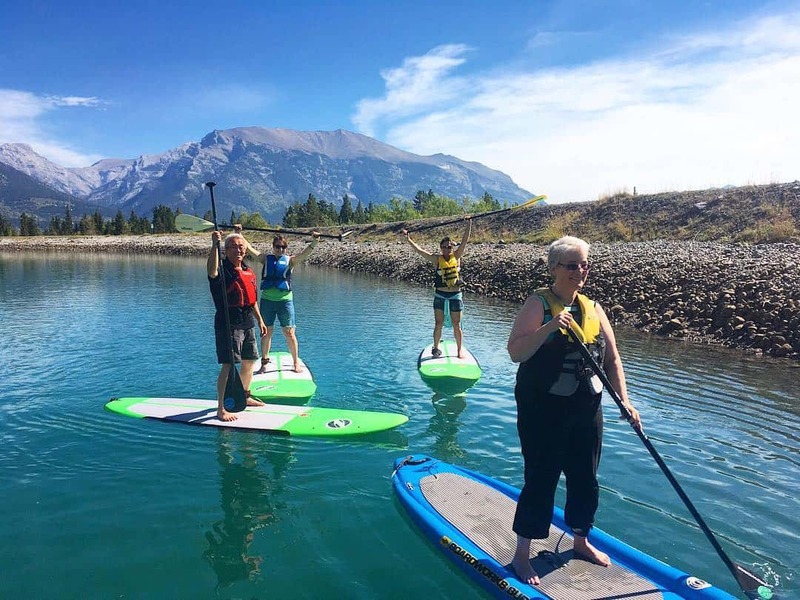 Each of them come with different reasons to love them; the Kananaskis is a little more family friendly with lower class rapids. The Kicking Horse in June and July has some huge rapids which are great fun to shoot with a licensed operator. This exhilarating sport is not for the faint hearted, and as with all water sports I suggest that you brush up on your swimming skills before you arrive.. you never know when you may be taking an unexpected dip and these rivers are ICY! Get in touch with Chinook Rafting to book your rafting adventure, or send us a message and we can recommend the best one for you. I’d never come across this until this year, but they make heavy duty inflatable kayaks! 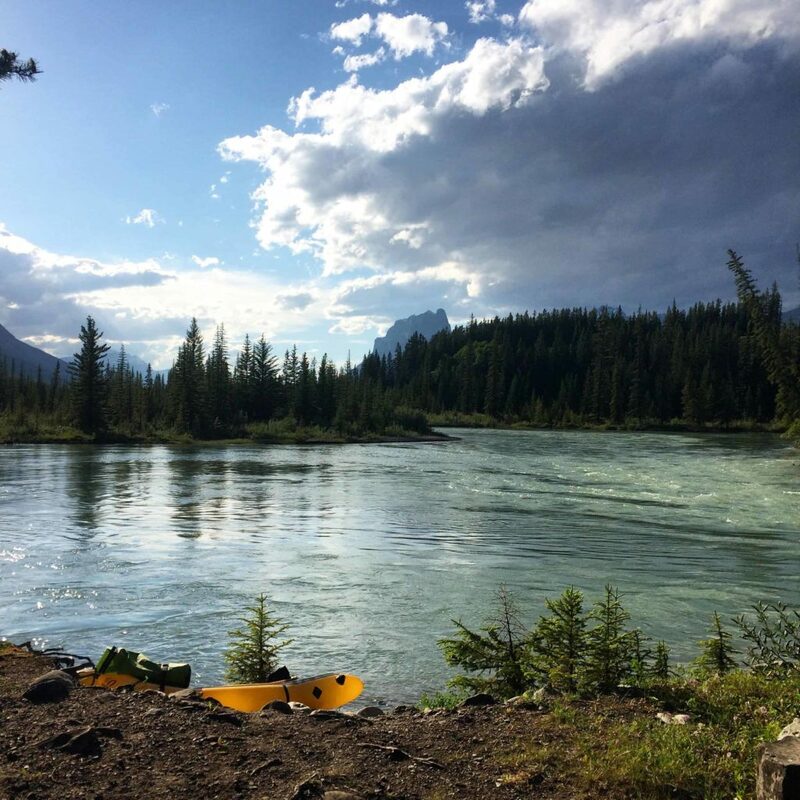 A friend and I took out a pair and paddled the Bow River from Lake Louise to Banff in late June last year. We managed to squeeze it in over 2 evenings after work as the days were so long, it probably took us 10 hours over 2 days with a fast flowing river. It’s a stunning way to experience the mountains in the area, and the kayaks were so buoyant we felt very comfortable taking on small rapids in them. Next year, bigger rapids! 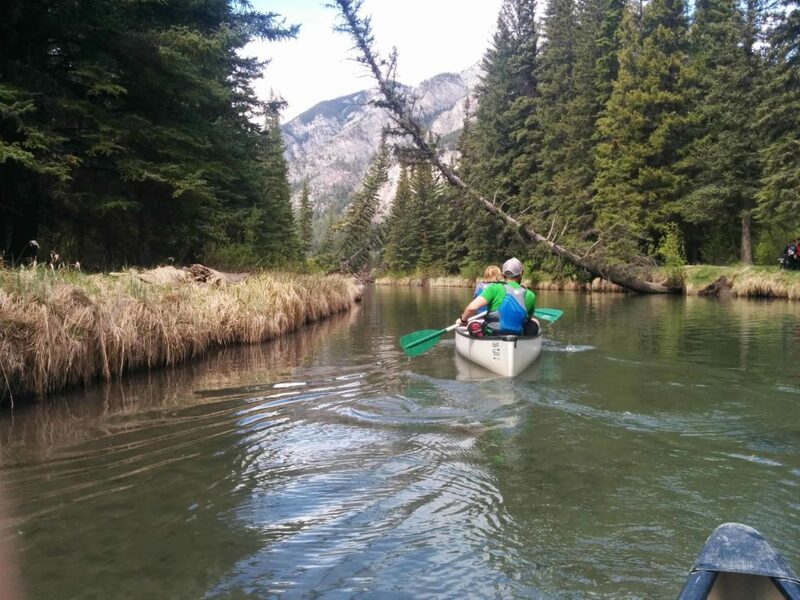 Canoeing is one of the most accessible water sports in Banff; you simply walk down to the Canoe Docks on the Bow River at the end of Banff and rent one for a few hours! From here you can either go up the river, or noodle through the smaller streams up into the Vermillion Lakes for iconic views back to Banff. Keep an eye out for all kinds of wildlife, aquatic mammals, wetland birds, fish and larger mammals like elk and deer. Canoe rentals are also available in other iconic spots like Lake Louise, Moraine Lake and Emerald Lake. One of the world’s fastest growing sports; Stand Up Paddleboarding (or SUPing for short) takes you out onto lakes and rivers on a very large, very stable surfboard. You start out on your knees whilst you practise getting your balance, and from there it’s a progression to standing and using the long paddle to propel yourself along. Masters of the sport will take these boards onto rivers and even surf them in the ocean, but I quite like a quiet afternoon paddle along one of the many lakes in and around Banff. 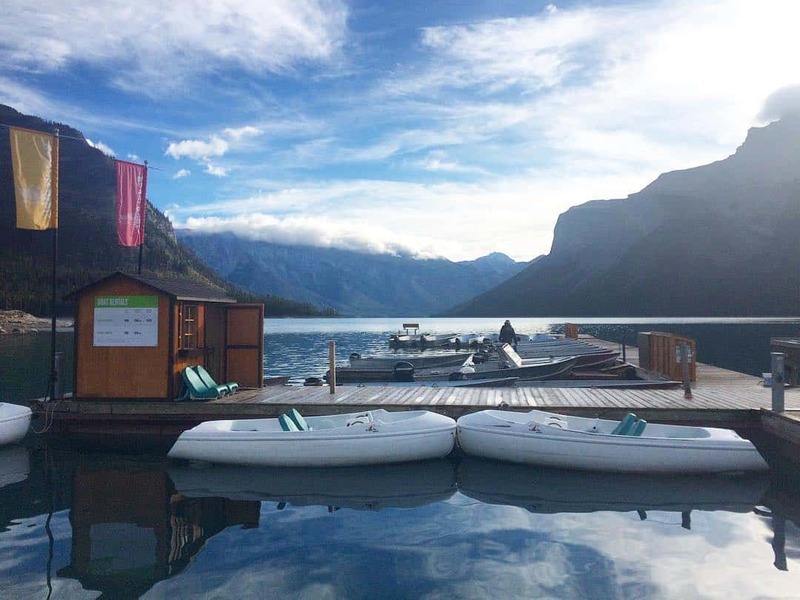 The trusty pedalo also has a home here in Banff, and families love taking these little boats out onto Lake Minnewanka. You can also rent small tin power boats from the Banff Lake Cruise, but I have to say I prefer the self powered, quieter vessels. The Banff Lake Cruise doesn’t open until the ice has come off Lake Minnewanka, which doesn’t usually happen until the beginning of June. People come to the area to fish all year around, from Ice Fishing in the Winter to river and lake fishing in the summer. 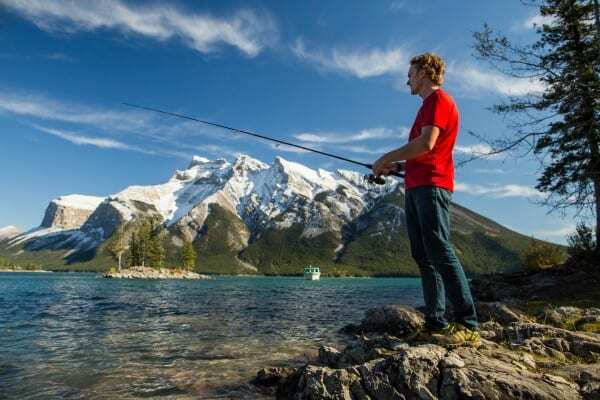 There are specific seasons where you can and cannot fish, so check in with Parks or Banff Fishing Unlimited before you come. When the national parks were first created, the lakes were stocked with fish to make the sport more fulfilling. After a number of years, people realised that the purpose of a national park was to preserve and protect, rather than provide sport, so the stocking practises stopped. The damage was already done, however, and the non-indigenous species were taking over the native fish. Now when you catch a non-indigenous species you can keep up to 2 per license, however native species are catch and release only.